Well, okay. So they are small, to the extreme, in fact. 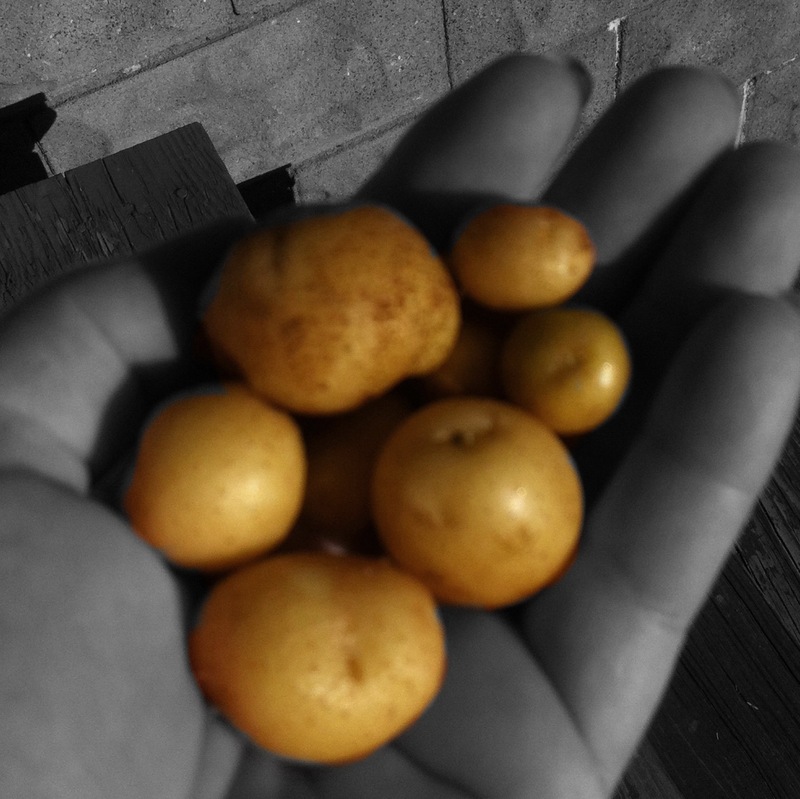 In my hand I display to you my entire potato harvest. Don’t laugh. Actually, go ahead. I did. Still am. I blame the massive heat-wave and drought plus water conservation. And maybe the fact I’ve never grown potatoes before has something to do with it. I believe I may have gotten a bit giddy when unearthing these tiny spuds. How best to use the limited resources before me? I wish to make the most of them. I’ve a couple suggestions by friends and some ideas of my own, to include use of my lavender and thyme. By the way, the herbs have done exceptionally well. I would love to hear from you.